As they grew, there were times I missed working outside the home. There were more times my children needed me. My house became a haven for latchkey kids. They flocked here with their parents approval. I fed them, entertained them, laid out the boundaries and they accepted. I provided a safe place for my children and their comrades. The visiting kids became my friends in a way they could never be with their parents. I am still in touch with most of them and treasure the times, memories and the fact they still accept me as an elder friend. I have been chided with not returning to "Work." Let me tell 'ya, I do work. If you add up all I do at my home, the savings outweigh any income I could earn elsewhere. And..I am happy with my current job. One of my many so called jobs, was to care for my Father. Hardly a job. I consider caring for parents a joy. He was amazing. Twenty years ago my Mom died. It was sudden. I had lunch with her in the hospital, before she was moved to ICU, and she asked me a question. "Will you promise to take care of your Dad should I die?" I knew she was serious and replied, "Yes. Always." I kept that 20 year promise. I am happy to say I did. My Dad was always a part of my life, my children's life, my husband's life. He was important. Rightly so. We vacationed together. Skiing ( I assisted his recovery) after my Dad's first stent surgery. Two more skiing trips. He ventured out by himself on many cruises and excursions. I was so proud of him. He carried on, living a good life, remembering his wife yet pursuing his own adventures. I had seen the film, "Up," in the theaters. The movie was special. I felt it portrayed my Dad's life. After my initial viewing, I called my Dad and invited him to see "Up" with me. He loved going to the theater. After the commercials and previews, I leaned to whisper, "This is a special film. It will be sad and happy. We will both cry but I feel you need to see this." He nodded and the movie started. We were both so absorbed in the story that I can't tell you how my Dad reacted. I can tell you that when we emerged, we were both crying happy tears and hugging. My Dad told me, "That is the story of my life." 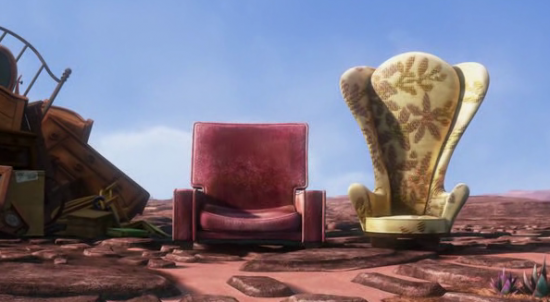 We watched "Up" one last time while my Dad was home, awaiting death. The film was just as moving as when we saw it together so many years ago. When the movie ended, he again replied, "Story of my life." I held his hand, understanding not only what had come to pass but the destination that was soon to follow.